Shenzhen Shine Solar Co., Ltd.
Xiamen Eco-Sources Technology Co., Ltd.
Ailide Solar Technology Wuxi Co., Ltd.
Foshan Namkoo Import And Export Co., Ltd.
Shandong Yinxu International Trade Co., Ltd.
ISO/TUV/CE Certificates and 10-year Warranty Our products have passed the test of several quality certifications, which can prove the issue of quality. 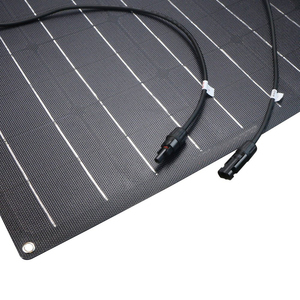 Plus, we permit that our products work: 10 years at 90% of the minimal rated power output,25 years at 80% of the minimal rated power output . The Trustworthy After-Sale Service With a large number of professional sales managers, we can promise that we would offer a satisfying after-sale service. 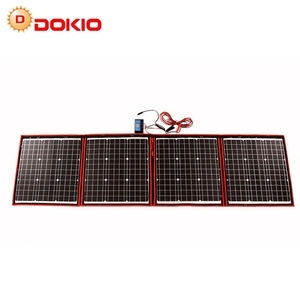 Ningbo Ever Shine Electronic Technology Co., Ltd.
Pingdingshan Sinoshine Energy Co., Ltd.
Q: Are you a factory or trading company9 A: We are a factory and we have our own foreign trade department. 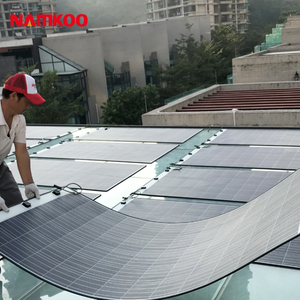 Q:How many days for the sample9 A: Usually, the sample will be ready within 7-10 work days,as your request,we supply OEM. Q:How many days for one 40HQ container order ready9 A: Usually, 40HQ container will be ready within 20 days after confirmed. 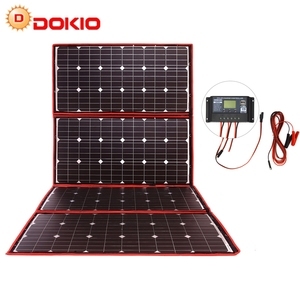 Cixi Meizhi Electric Appliance Co., Ltd.
Xiamen Solar First Energy Technology Co., Ltd.
Jinhua Dokio Technology Co., Ltd.
Shenzhen Jinxuyuan Solar Technology Co., Ltd.
Qufu Jingyang Solar Energy Co., Ltd.
Shenzhen Sheng Shi Tian He Electronic Technology Co., Ltd.
At 6.2 pounds, this panel weighs 70% less than its standard counterpart and is less than 5% as thick. 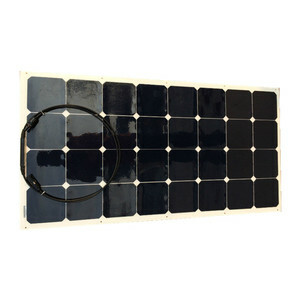 The ultra-lightweight design allows for incredibly simple storage, transport, and installation. 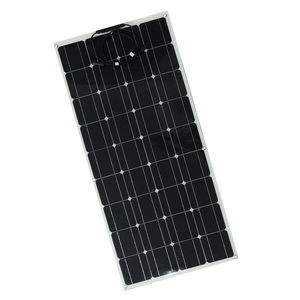 Q: Can your solar panel be customized9 A: Yes, our solar panel has a factory,which can be customized in size. 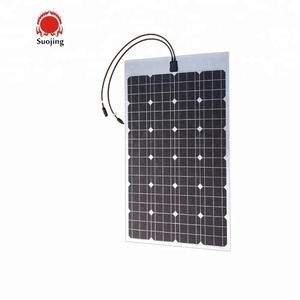 Jiangsu Xingke Electric Co., Ltd.
Guangzhou Ocean Solar Power Technology Co., Ltd.
now capacity 500MW per year International . 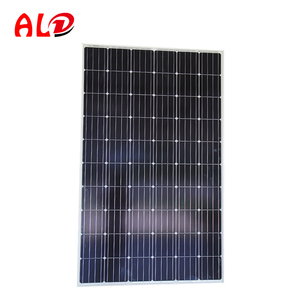 400MW export to more than 80 counties , EPC company in Germany ,Italy ,USA and Canada , World Partner. 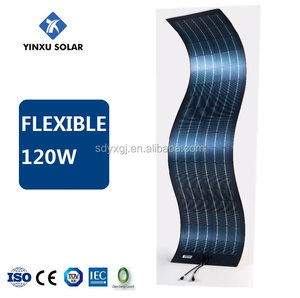 More than 20 famous international famous company partner in the world , solar city,Solar world ,Q-Cell ,Tesla . 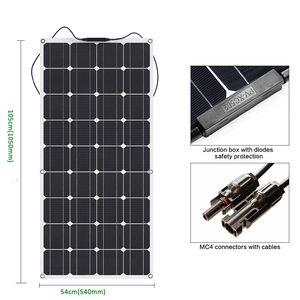 Jinan Linquan Import And Export Co., Ltd.
Shenzhen Suojing New Energy Co., Ltd.
Shenzhen Portable Electronic Technology Co., Ltd.
Raygleam New Energy Technologies Co., Ltd.
Dongguan Morningsun Solar Technology Co., Ltd.
Shenzhen Highway Technology Co., Ltd.
Zhengzhou Haopai New Energy Technology Co., Ltd.
Shenzhen Ecsson Technology Co., Ltd.
Alibaba.com offers 30,656 flexible solar panel products. 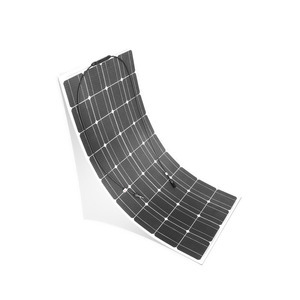 About 83% of these are solar cells, solar panel, 6% are solar energy systems, and 1% are other solar energy related products. 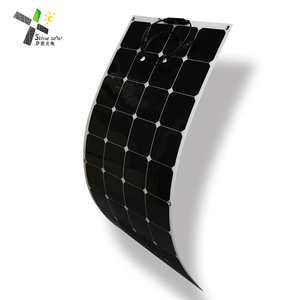 A wide variety of flexible solar panel options are available to you, such as monocrystalline silicon, polycrystalline silicon, and plastic. You can also choose from free samples, paid samples. 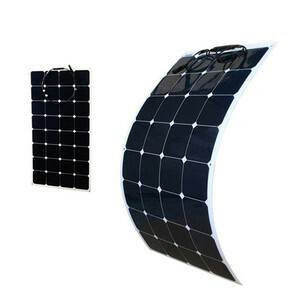 There are 30,507 flexible solar panel suppliers, mainly located in Asia. 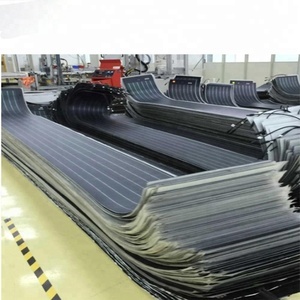 The top supplying countries are China (Mainland), India, and Taiwan, which supply 99%, 1%, and 1% of flexible solar panel respectively. 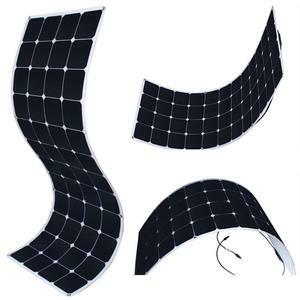 Flexible solar panel products are most popular in North America, Western Europe, and South America. 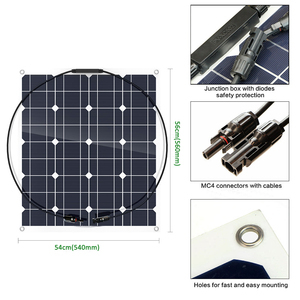 You can ensure product safety by selecting from certified suppliers, including 9,642 with ISO9001, 4,578 with Other, and 3,943 with ISO14001 certification.